Halloween is the time when pumpkins like to express themselves, and the Sand In Your Eye team loves nothing more than bringing them to life. We are now making professional pumpkin sculptures and continue to make carved and stencilled faces, along with other Halloween pumpkin ideas. We can make them in our West Yorkshire studio and deliver to you or make them at your location to add a performance to your spooky event. 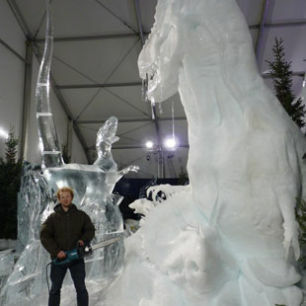 We also create pumpkin festivals and events to scare and delight. 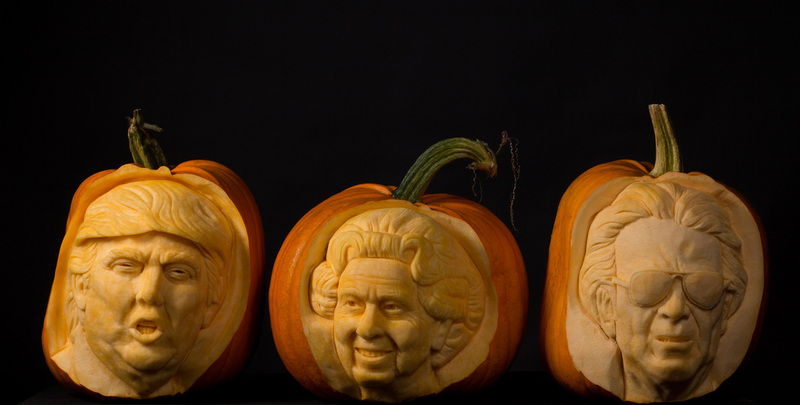 We can carve famous faces into pumpkins, or maybe something else. We like a challenge! We have created many pumpkins over the years for TV and film. Here are a few. 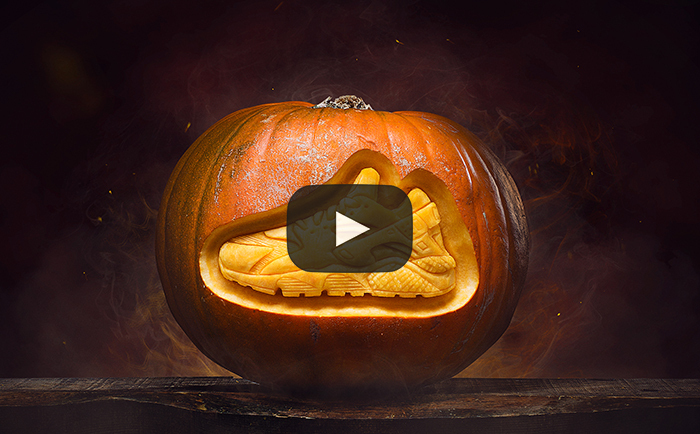 We can carve intricate logos into pumpkins perfect for seasonal promotions. 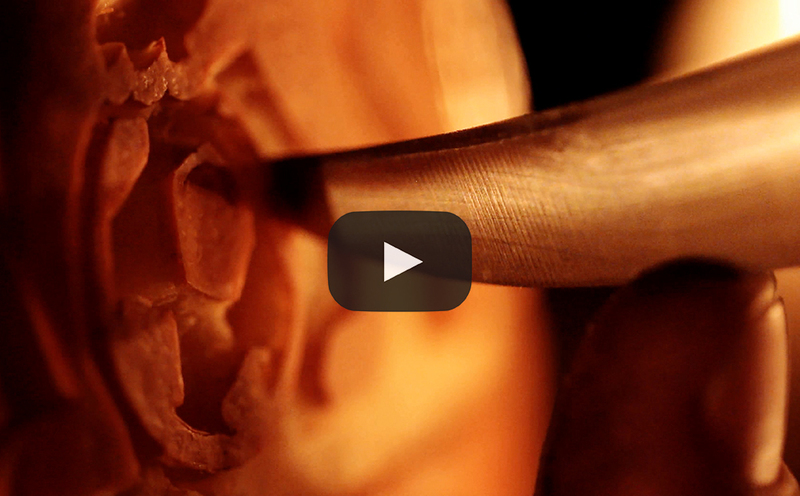 Halloween pumpkin sculptures allow us to get even more creative with your everyday pumpkin. Having chopped them up, we put the pumpkin back together with cocktail sticks in order to make an original sculpture, such as Fred the Skeleton. These are pumpkins that are breaking out of their shell, totally unique and dying to get on TV! Carved Halloween pumpkins have big personalities and egos that love to have their photo taken. But beware, as you never know what mood you're going to catch them in. Pumpkin stencils can be very impressive in all lighting and can range from simple to very intricate. These pumpkins are great for add another dimension to pumpkin carving. When lit in a darkened room is when these pumpkins really come to life. Great for setting a spooky scene or for a photoshoot. 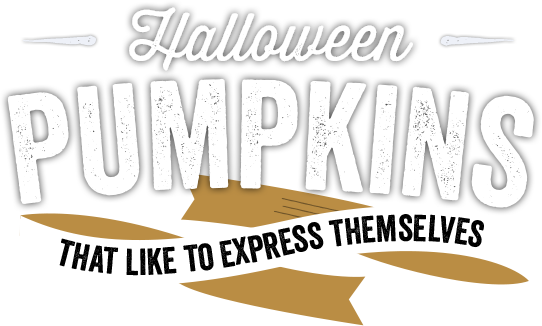 We create events and festivals for all things pumpkin. 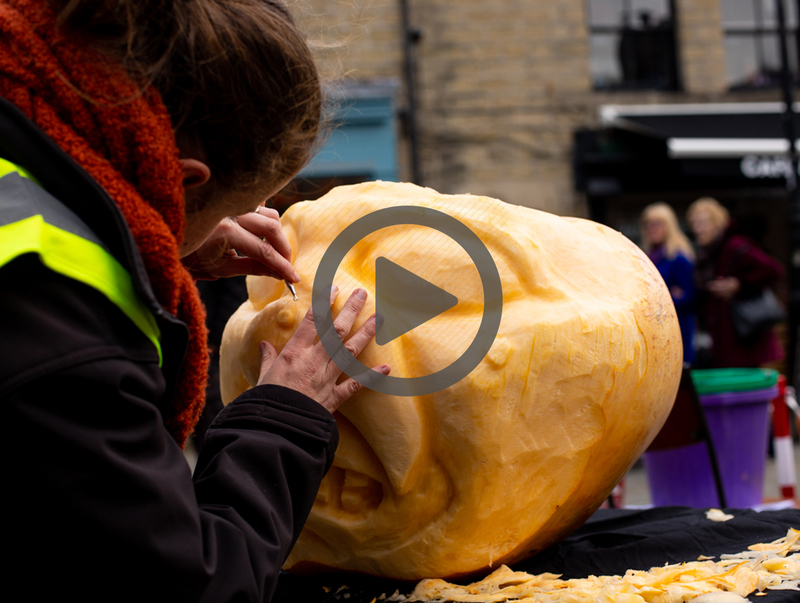 For the last two years we have held a pumpkin festival in our home town of Hebden Bridge in partnership with Hebden Royd Town Council and with the help of sponsors. We create pop up pumpkin carving displays, trails, workshops, parades, entertainment and much more. 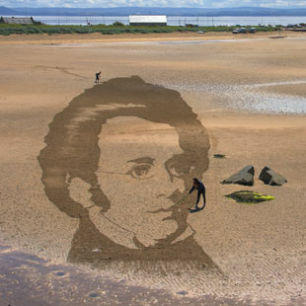 We engage and train local community groups, schools and businesses to create their own displays too around the town to make the festival family and community friendly. See our dedicated festival website for more details. Sand In Your Eye pumpkin workshops are great, they are messy and have a satisfying outcome. See our workshops page for more information. Here are some short films of some of the events we are proud to have been a part of. To watch more of our films, please see our gallery. If you would like to know more about what we can offer you, why not give us call? 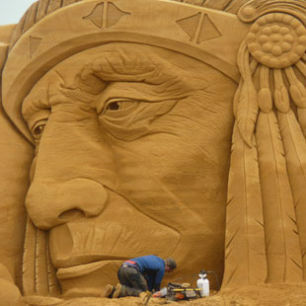 To keep up to date with Sand In Your Eye follow our blog, social media or sign up for our quarterly newsletter.